Q&A: Will Embedded Case Managers Eventually Do Home Visits? To learn how you can be featured in one of our Case Manager Profiles, Click here. 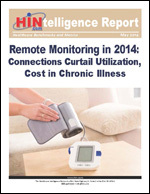 © 2014 Case Management Monitor by Healthcare Intelligence Network. Advancing Primary Care with Embedded Case Management: Lessons from the Taconic IPA Pilot describes Taconic's commitment to embedded case management as well as the motivation behind the new entity and the case management-related services Taconic Professional Resources makes available to more than 5,000 physicians in its open, multi-payor environment. "Case managers are key in the completion of a risk stratification, as well as in managing patients in different populations, whether it's one-on-one intense case management or a larger group strategy like coaching."